Most creams are 50-60mL, but this one is 75mL!! 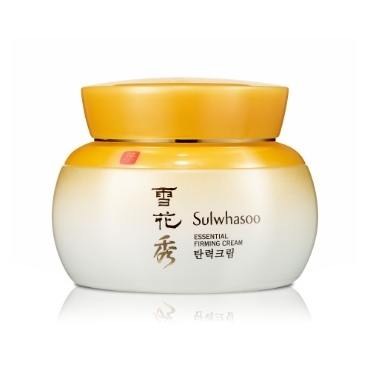 This is my favourite cream, not only in the Sulwhasoo line, but overall out of all the creams I've tried, this is my favourite one! Ingredients include many Korean herbal plant extracts. I usually only use cream at night because the texture is thicker than lotion. But with the Firming Cream, I can use both day and night, it absorbs fast and doesn't make my face greasy!! Next morning I wake up, my face feels clean. I have been using 5mL mini jar samples, because it's cleaner and I can switch to other products at times. 5mL can last ~2 weeks provided that I only use it at night. I noticed my skin was moisturized! Fine lines decreased, firmness and elasticity definitely increased in my skin. This would definitely be a product I would recommend to others.